A hideous beast, armored and horned. Aggressive and near-sighted and highly dangerous. If it's charging you, and it very well might, you'll want to say your prayers. Not everyone's favorite animal, for sure. But what if it's gone? Forever? Would you care? Here's a tiny portion of what the planet Earth lost in 2011. In fact, over 90% of all rhinos in the world have been exterminated. The Northern Sumatran rhino? Extinct. And the Western Black Rhino? Also extinct. 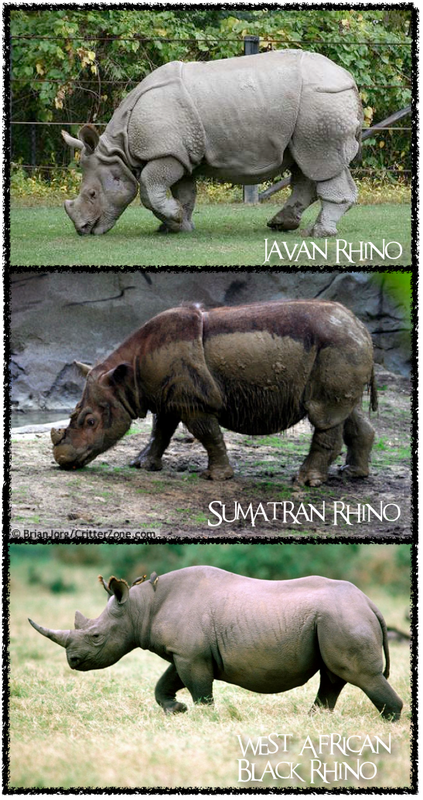 In Indonesia, there may be about 30 Javan rhinos left...but their chance for survival is as small as their horns. 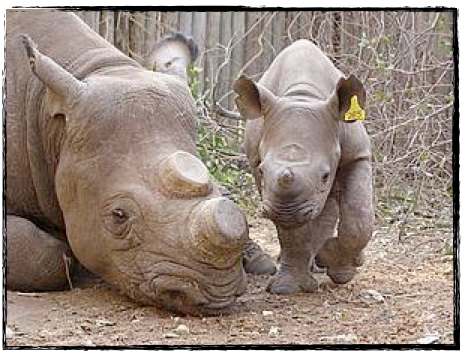 Some Asians believe rhino horn cures cancer, so killing rhinos for their horns is highly profitable. A single kilogram (35 oz) of horn can fetch $50,000, making it one of top ten most valuable materials on the planet. If you do the math, you can see why rhinos are doomed. 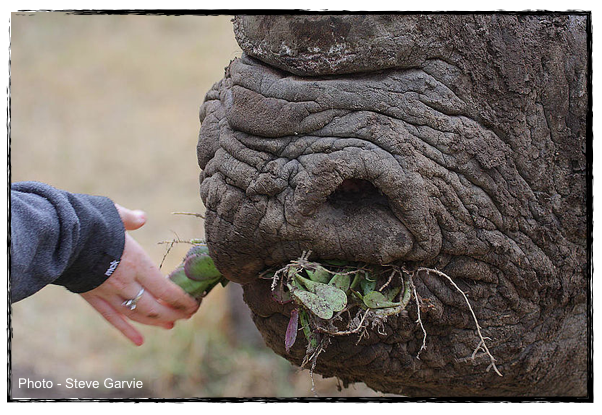 Cutting off rhino horns humanely, however, could save the rhino. A young rhino's horn grows back in three years, potentially creating a legal, humane, and renewable resource of rhino horn for the asian and middle eastern markets. Rhino farms...perhaps the only salvation for these big animals. 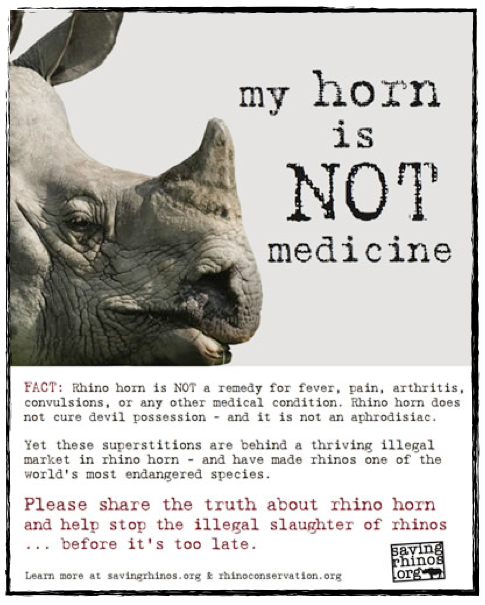 And, of course, never buy anything made with rhino horn. And just so you can say you saw one before it was gone forever, below is a video of the rarest big mammals on earth: Javan rhinos caught on hidden camera deep in the jungles of Java. Check out this article from Freakonomics: Why Are Rhino Horns Twice as Valuable as Gold? Oh my gosh! That is so sad. Those mammals are beautiful in their own way and they shouldn't have gone extinct just because people wanted their horns. What if some alien species came to Earth and was all like "Hmmm, I like your hair, so I'm going to kill you to collect it." How would that make you feel, killers of rhinos? yes, i agree that they aren't my favorite animal, but i still feel sympathy for them!